John Locke', 1775. 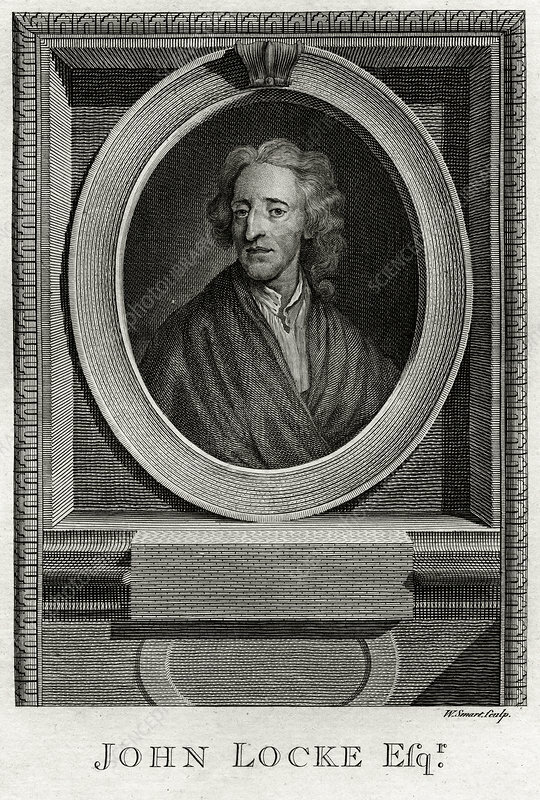 Locke (1632-1704) is regarded as the father of British empiricism. He was the author of Essay Concerning Human Understanding (1690) in which he argued that knowledge is derived from sensation and introspection, rather than from innate ideas. His political philosophy, set out in Two Treatises of Government were to exert considerable influence on the American and French revolutions, setting out the liberal ideas of the natural rights of man and that the authority of government should be limited and subject to its obligation to serve the public good. A plate from The Copper-Plate Magazine or A Monthly Treasure, London, 1775.